Social studies is offered for students in second through seventh grade. 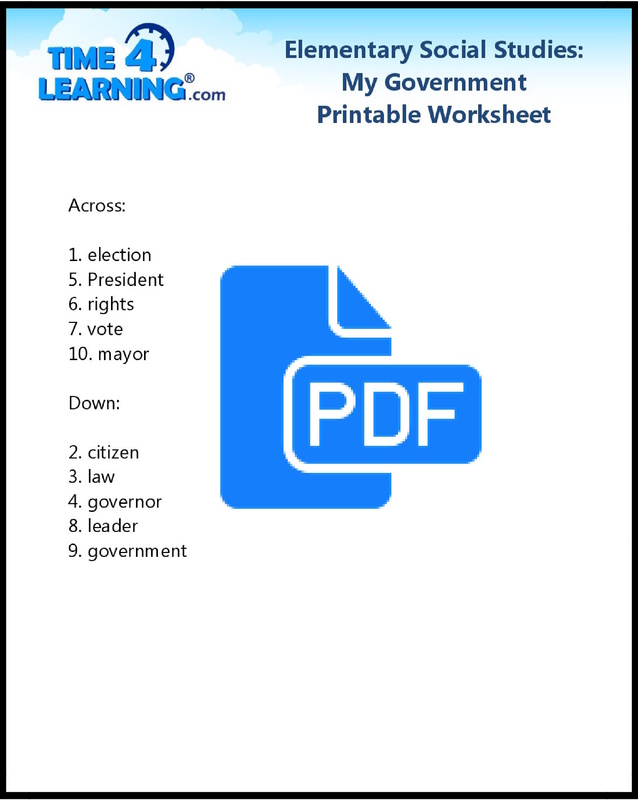 Time4Learning offers printable social studies worksheets that help reinforce a wide span of topics, including (but not limited to) civics, history, geography, and ancient civilizations. 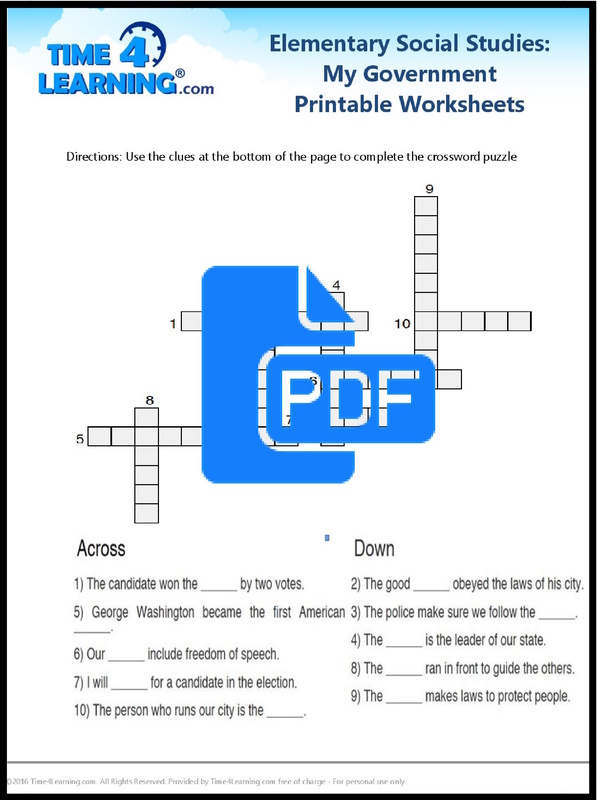 If your elementary homeschooler is needing some additional practice, download Time4Learning’s printable resources.